Braden and Tracen's mother, Verna Mangum attended a Path to Scholarships® Parent Workshop in Blackfoot, ID in May of 2013 presented by June McBride, author and founder of Path to Scholarships®. Parents need to encourage their children to develop servant hearts and learn the joy of serving others as early as possible. Parents are the first teachers of their children and their children will follow the example of their parents toward service. 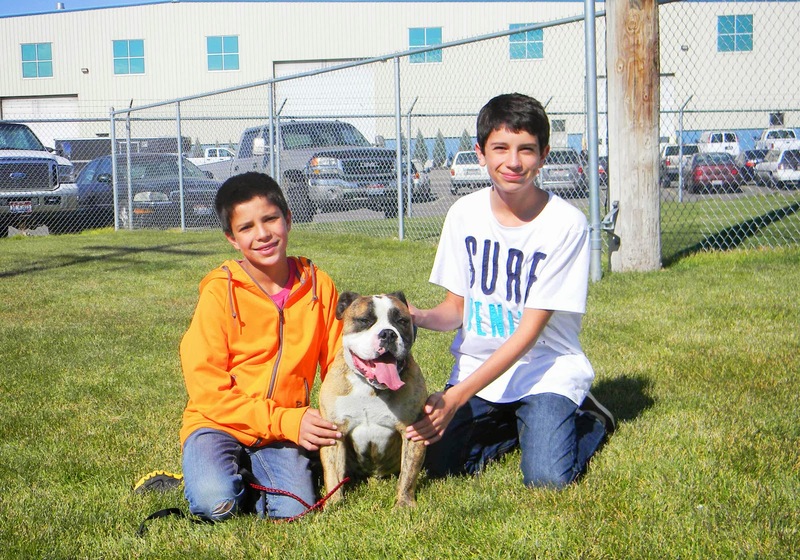 Both of the boys love animals, so they started a self-initiated project this past summer at the Blackfoot animal shelter. Braden and Tracen Mangum began volunteering at an animal shelter to prove they were responsible enough to become dog owners. Their experience grew into a community project that spanned the entire summer and still continues. The brothers realized that many other dogs needed homes too. 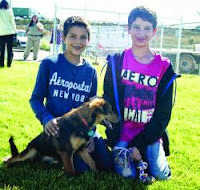 The boys worked at the shelter, walking the animals, playing with them, cleaning up after them and posting photos of dogs available to adopt on their facebook site, "Braden and Tracen's Project Save a Pet." 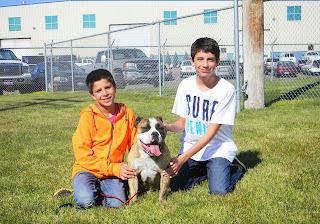 Through their efforts, many animals were adopted over the summer. They were recognized by the Blackfoot Police Department, the Blackfoot Mayor, local television news, and have had newspaper articles written about them. They received the National Summer Service Award for $1000 to invest in their Save a Pet Project! They love animals and using their passion found a way to give back to the community at ages eight and ten. It is never too early to invest in the needs of others through community service! Their project has extended to raising funds to expand the shelter which is currently over-crowded. The boys are working hard at something they love, finding fulfillment and satisfaction, and the entire community will benefit. They have a purpose, plan, and a mission. Now they can begin to apply for community service scholarships which begin for students as young as five years of age! Presently they are working on four community service scholarship applications using this community service project. CONGRATULATIONS Braden and Tracen for a job well done from the heart! Call Customer Service (407) 406-4180, (407)462-7659, or (407) 877-9630 for information. The scholarships are very important and nicely managed. It is developed with the 11 Useful Tools for Writers. It is needed and applied for the right and productive means. It is very necessary for the entire and society of the complete nature.